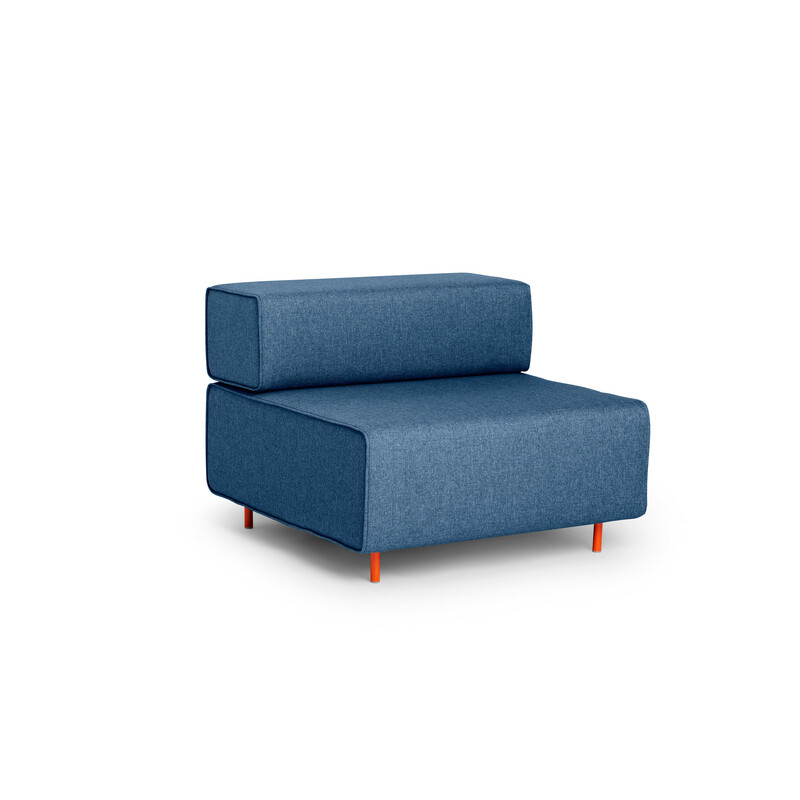 Our Block Party Lounge Chair offers the ultimate in open office escapism. Perfect for relaxing with a snack or finalizing that big presentation, it's your new favorite place to call your own. When used with our other Block Party pieces, it offers endless arrangements for lunching, laptopping, and lounging. The Chair ships in 2 boxes with a total weight of 102.5 lbs. 1 Chair Backrest Box: 38.5"L x 16"D x 12.5"H, 31.5 lbs. 1 Chair Base Box: 37.5"L x 38"D x 14"H, 71 lbs. 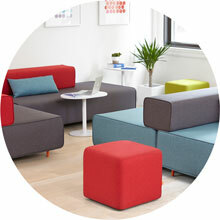 Perfect for reception, lounge areas, and break-out spaces. 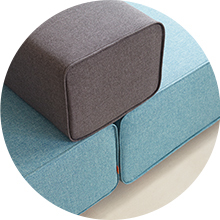 Space-defining shape allows for concurrent meetings and private work. Mix + match for a curated look that coordinates with your branded space. Backrest doubles as a laptop surface, forming the ideal desk alternative.